If you have been a Samsung Android User from a long time, then you might know that you have to use a software named Odin to flash anything on your device. Unlike Nexus, Motorola and other manufacturers who use traditional ADB & Fastboot to flash images, this is something different. So let’s see how you can flash CWM recovery with Odin on Samsung Devices. PS: CWM is an abbreviation for ClockWorkMod. Also, this method can also be used to flash other recoveries like TWRP, Philz, and others considering that you have appropriate files for flashing. There is a vshare app, you might want to check it out. Odin is the flash tool used to flash especially Samsung devices. It is rumored to be leaked by the Samsung itself. From that onwards, there are lots of online community support which has kept it going for so many years. However, it is only supported on Windows and if you are a Linux or MAC OS then you can use the alternative called Heimdall. There are several things that you can do with Odin such as flashing stock ROM, custom ROM, recovery file, kernel, root your Samsung device and much more. What are you using Samsung Odin for? Let us know in the comment section below. Probably after reading this article, you might also want to root your Samsung device. So make sure to read Why to Root Android Device? Before proceeding, we would recommend you to Backup your Android Device in case anything goes wrong. This will help you prevent any data loss. Let’s hope everything works out fine. Warning: This can potentially brick your device and make it unusable. So follow the instructions carefully. Neither anyone except you is responsible for any damage done to your device. This will also void your warranty so read the warranty statement carefully if you’re not sure. Download and install drivers for your device from the link given above. Download recovery package and Odin. 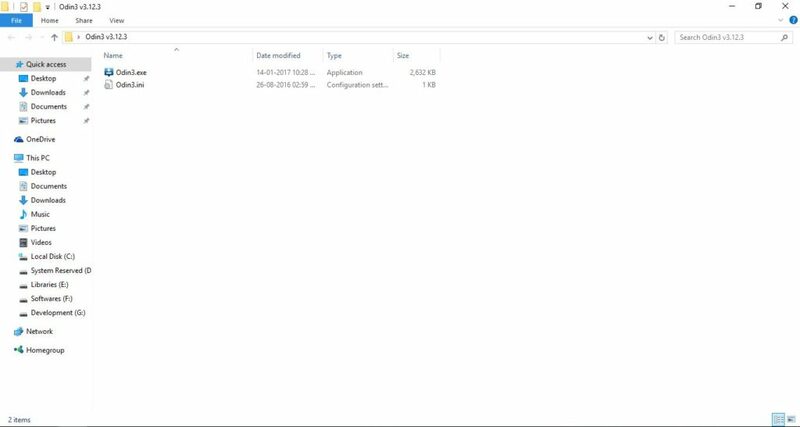 Run Odin executable(exe) file as administrator(Important). Uncheck all option except Auto Reboot. i) Go to Settings >> About and tap Build Number seven times and you will see a popup saying developer options are now enabled. ii) Now go to Settings >> Developer Options. iii) Toggle on the Enable OEM Unlock option if available. Nowadays devices come with a bootloader so that you cannot flash anything other than official files to your device. If this is the case then you will have to first unlock your device bootloader. Click on PDA and choose the file in the extracted folder. Connect your device to your computer and press start. You will see pass message after flashing that file successfully. You have successfully installed CWM Recovery by Odin on your Samsung Device. Now to boot into the recovery mode you will need to power off your android device and hold volume up + home button + power button. You will boot into the recovery mode right away! We are sure that this tutorial has helped you in installing cwm recovery using Odin on your Samsung device. If you have encountered any problem or have any issue, do let us know using the comment section below. Don’t forget to share this article and subscribe to our newsletters to keep updated with the latest things going down in the tech world. There is no “PDA” in your screenshots… Is it “BL” “AP” “CP” or “CSC” or what?? Wow! Great article! Very informative and helpful.